2 Hour Newsies Masterclass with Nico DeJesus who plays Romeo on the National Tour. We are so excited about this upcoming Newsies Masterclass! 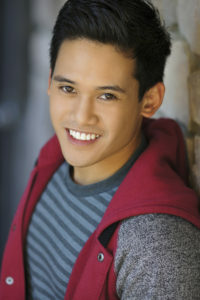 Nico will be teaching choreography in the style of the show and also offering an unbelievable 30 min Q and A. Look at this bio ya'll, you don't want to miss the chance to pick his brain!! FELD Entertainment's “Mickey’s Rockin’ Road Show.” He has performed onstage at Sea World San Diego dancing in their “Rockin’ Riptide show,” where he performed alongside world-class gymnasts and percussionists. He is also a part of the Nationwide campaign “Get Up and Go” which is endorsed by Michelle Obama. Nico has trained under the tutelage of many well known choreographers such as Christopher Gattelli, Rosero McCoy, Eddie Garcia, Travis Payne, and Cris Judd to name a few. 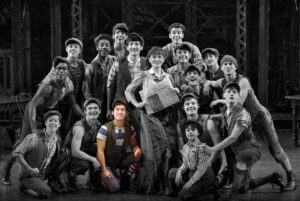 Look for Nico in a city near you as he continues to tour with “Newsies” through October 2016. When I click on the link for tickets above for the Master Class with Nico DeJesus, it gives me an error code. Are there still tickets available or was this an old link from 2016? Thanks for the info.